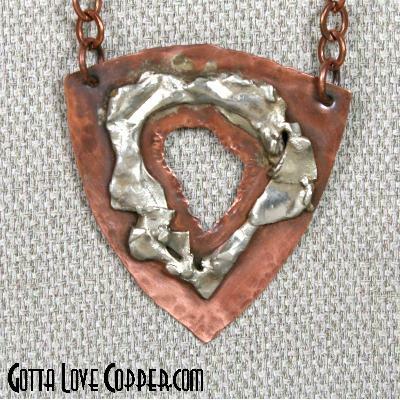 This copper pendant has a Sterling Silver "starburst" feature with negative space in the center. Big and beautiful! Copper jump ring chain is included. You are visitor number 1,136 to this page.